I am considering hiring a freelance negotiator to handle contract negotiations with my clients. Where might I find professional negotiators? How do I go about hiring a quality negotiator and paying them? We'll answer your question by sharing general advice on how to choose between the many companies offering you commercial negotiation consultancy services. You're also welcome to call or email us to share more, and take our specific advice on choosing your professional freelancer negotiation consultant with zero commitment or charge. Freelance negotiators are referred to as Agents. Freelance consultants are professionals who represent the interests of the principal decision makers. Agents act on the principals behalf with varying degrees of authority. The level of authority you extend to the agent is crucial, and must be defined at the outset of your relationship. Professional negotiator agents are employed in negotiations because of their expertise, specialised knowledge and experience. Independent agents possessing specialised training in business contract negotiations usually designate themselves as "business consultants". Of course not all business consultants are expert negotiators. Lawyers who specialise in outsourced business contract negotiations may also be used as an agent. There are several key points to keep in mind when you consider employing negotiation consultancy services offered by a third party. Whilst we are not in a position to advise on where you might find a professional freelance contract negotiator, we hope you find our advice useful in making your choice. Depending on your own needs and level of expertise, you have to decide what role you want to play in the negotiations. These roles boil down to your being either Passive or Active. To some extent every independent agent is bound to have their own personal agenda. A commissioned agent who only earns a fee above a specific negotiated sale price may only attempt to enhance their commission by negotiating a higher sale for example. 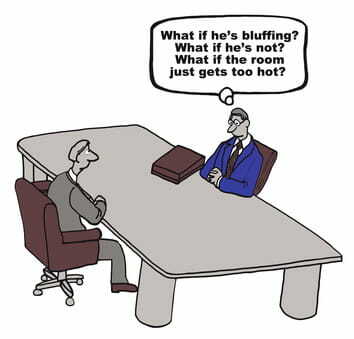 A specialised negotiating consultant may wish to enhance their reputation by doing whatever they can to make the deal happen. In the process the agent might be prepared to give away too many concessions at your expense. The best approach is to take a direct hand in the negotiations to maintain control of your negotiation process. Control will ensure the negotiation progresses in a manner which best suits your interests, time and skills constraints, and business objectives. 2. What is the Negotiation Style or Approach? How the negotiation is to be conducted is a crucial consideration. You must understand how compatible your professional negotiator's negotiation style is in relation to your expectations and the style being adopted by your clients. Positional negotiation (an example of distributive negotiation) styles can be confrontational. This style tends not create much value, as its focus is to claim the lions share of value. Collaborative (an example of integrative negotiation) styles aim to reach a more productive agreement. The objective is to enhance the value to the satisfaction of both negotiating parties. Collaborative negotiations generally forge a stronger, more enduring and positive business relationship. The extent of the agent's negotiation skills may not necessarily be enough. Depending on the scope and depth of the contract being negotiated, a certain expertise and knowledge of your industry can be of vital importance in choosing an agent to represent your business interests. The depth of knowledge required for the negotiation is clearly dependent on the extent of the issues at stake and their complexity. In what capacity will you be employing the services of your professional negotiation company? A vital decision is to determine whether the negotiation agents role is to be very specific or general. Do you need professional negotiator to assist in structuring your proposal or offer? Do you need professional negotiator to act more in a consulting capacity to help you brainstorm ideas, or perhaps to design an effective contract? Will the agent be used to specifically negotiate the deal, offer legal or financial advice? Another decision is to define whether he or she will be directly involved in the negotiations, or play a support role. By defining your needs clearly, your search for the most suitable professional negotiation services provider will be more focused. 5. How will the presence of a third party affect your clients? How your clients will react to the presence of a third party negotiator is an issue which you must give considerable thought. How will you introduce the agent when you sit down with your clients? Will your clients react by becoming defensive and adopt a positional or confrontational negotiation style as a consequence? Or might the clients become intimidated or even offended by your bringing in a professional to conduct the negotiations on your behalf? The presence of a professional negotiator can also affect how the client perceives your own abilities, expertise and level of professional competence. Be very cautious in this regard and consider the reactions of your clients. The manner of how payment will be made is variable and should be considered negotiable. Payment may be dependent on your objectives and the reason you require the agent's services. The agent may also have their own payment criteria. An agent may expect a retainer upfront or might charge an hourly rate if they are acting in a support role as an adviser. An agent may ask or choose to share your risk and reward. This is usually done through the professional negotiator taking a percentage of commission based on how successful they in assisting you to achieve your sale or deal. The commission percentages typically ranges anywhere from 2% to 10% of the negotiated transaction. Which factors do you need to take into consideration in deciding on the percentage? The risk or probability of success - a complex calculation. The time required to close the deal. The time your agent will dedicate to closing the contract. The overall size of the deal, or rather the portion that you've agreed to base your agent's calculation on. The amount of time your consultant will be available to you, and working directly on your negotiation deal. Think through how much preparation and negotiation time you will require from your professional negotiator, how long it will take to close the deal, and when the critical periods will be. Your agent will need to be able to have the time and working schedule available to accommodate you. You would be advised to draw up a contract, with or without an attorney, and to specify your requirements in this contract. You may choose to reserve a specific minimum of time from your professional negotiator and pay them accordingly. Understanding and knowing how to negotiate is a vital skill every business executive or entrepreneur should spend time in acquiring. Commercial negotiation skills are not just instrumental in contract issues but are also applied extensively in a multitude of business functions. Executives negotiate with buyers, suppliers, employees, service providers, leasing agents, and in many other day to day facets of their business. Negotiation skills teach us how to derive the best possible value from our business interactions and create more fruitful partnerships. 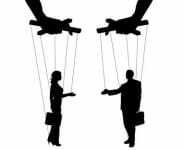 Business professionals need to understand the negotiation process to learn how to confront unethical tactics and gambits and how to counter them. There is a great deal of literature available to enhance your knowledge. We also recommend you scope out one of the many negotiation training seminars or courses available to address your particular needs. If you're on the sale side of negotiations, the skills you'll acquire on our Sales Negotiation Training will pay for the course fee many many multiples throughout your career. This check list will help you prepare a successful negotiation strategy for any potential conflict and attain the best possible agreement.